One of the biggest mistakes you can make in retirement is to not plan if things don’t end up going how you hoped. Victor’s advice in this episode is – hope for the best, but always have a plan for the worst. Announcer: Welcome to make it last. Helping you keep your legal ducks in a row and your nest egg secure with your host Victor Medina, an estate planning, elder law attorney, and certified financial planner. Victor J. Medina: Everybody, welcome back to Make It Last. I’m your host, Victor Medina. I’m glad that you can join us this Wednesday for another edition of fun and excitement in the world of legal and financial retirement planning. I know that you’ve been waiting all week for another fun episode, so I’m glad to be able to deliver. I am excited for today’s show. Today’s show, we’re going to talk about why safety is so important for today’s retirement. I want to talk about, why the three‑legged stool of retirement is broken and what you can do to fix it. Before we get into that, I want to share with you a couple of upcoming items. If you’re interested in learning a little bit more about different things that are going on, we’re hosting some stuff over at my firm. There’s some stuff going on in the community. I do want to make you aware of that. Actually, coming up on April 4th, we are going to be hosting, in our resource center, in Pennington, New Jersey, the Hopewell Senior Services along with AARP are going to be hosting a driver refresh course. We’re going to be hosting that on our campus at 230 West Delaware. If you are interested in this, or if you know somebody that might be interested in this that course is going to be going on during the day on Thursday, April 4th, you can definitely look into that. Second thing is I’m going to be speaking at dependent and Presbyterian Church the next day on April 5th. Just around lunchtime, 12:00 or 12:30, I’m going to be covering a topic called how to get your legal ducks in a row that’s going to be hosted at the painting Presbyterian Church in Pennington, New Jersey. If you’re interested in doing attending that it’s part of their older adult ministry. I’m sure they would be happy to bring somebody along and give them opportunity to learn a little bit more about what they do. You’d have the opportunity to learn something about legal planning. That would be great for you as well. Finally, we’re going to be hosting something in later April. If you’re interested in that April 29th, we’ve got a lunch and learn, and that lunch and learn is going to focus on how to get ahead of the curb for your tax planning for 2019. We’re going to do it after you’ve already had to file your taxes. No matter your taxes are done for 2018 you’ve filed them already. April 29th on Monday ‑‑ here again, on our campus ‑‑ we’re going to be hosting a lunch and learn. We’re going to provide some light lunch ‑‑ sandwiches that kind of thing. If you are interested in attending that you can reach out to us on 609‑818‑0068 and let us know and we will put you on the calendar. We got a lot fun and exciting stuff that are going to be coming down the road. In fact, in latter May we’re going to be holding an official open house and that’s going to be at the firm. Welcome everybody in to the community. That’s going to be a lot of fun. I’m sure, I’ll be talking about that as were coming up. Few speaking engagements. I thought, it was important to share that with you. I came across an interesting image put out by J.P. Morgan. J.P. Morgan put together a guide to retirement. They put up this graphic up here. It really got me thinking pretty hard. There’s something about it that just, just got to me. They had sort of a hub and spoke thing. In the center they had retirement. Then they had six things coming out from there. One was saving and spending and then one was assets allocation and location, market returns, policies regarding taxation, longevity and employment earnings and your duration. The idea was, each of those pairs of things were either totally under your control, somewhat under your control or complete out of your control. Market returns and policies around taxation were completely out your control. Your own longevity and your employment earnings and duration, like how long you worked and whether or not you maximize what it is you earn, that was somewhat under your control. If you looked at spending and savings, and asses location, and allocation strategies that was totally under your control. I get the idea around it, the things that are out of your control are pretty cut and dry. Markets owe you nothing. Markets don’t know when you’re retiring and they are certainly not there to bail you out. The thing that I probably have a little bit of a problem over is, the idea that people have total control over their saving and spending. I don’t know, that it is completely wrong but there’s enough wrong in there that kind of just rubbed me the wrong way. Just save more money, it seems to be a message that is just divorced from real life. Divorced from the empathy that’s necessary to know what it’s like to kind of go through life for many people saving money just isn’t an option. We see so often how people are living just to the cusp of within their needs to their means. It’s just cutting positive on a month. It’s a rash of a lot of different things. It one of these more…I don’t know. In the theory of how we developed as a society, there is this idea that it was possible to increase your earnings potential by doing things like going from a one‑income to a two‑income house. There are all these steps, things you could do. You could maximize that. In the end the conclusion was that we run out of ways to do that, so that we cannot keep up with the cost increase by leveraging additional things, like putting more people to work or leveraging our home or something along the way. The whole point of that is just to say that, for many people, just having enough to cover your bills is too close to where the reality is. It’s just right there. I take the position, and I do this with my clients, that you make money to spend it. That doesn’t mean that you don’t save so your future self can spend, but it’s really easy to see how people can focus on just today and lose sight of tomorrow. There’s nothing more crushing than financial anxiety. Financial anxiety comes to the issue of security. You’re really worried about what tomorrow’s going to look like? Whether or not you’re going to be safe. You’re going to reallocate your resources to making yourself safe today. You’re not necessarily making yourself safe in the future. I think that it’s really difficult to flip a switch so that you can be just “saving more money” as though it’s something you have control over. Now, one of the things that I think is better about where we are right now is that it’s never been easier to save money if you can. Back in the day, when you wanted to save money, you would have to go to the bank and transfer money from checking to savings. I don’t know that anybody under 25 or 30 years old has ever seen a savings book. As though that were a real thing. First of all, it’s made out of paper. They don’t know what paper is. Balancing a checkbook was done by hand. When you transferred money and reconcile that, that was math that was done by hand. It took a lot of effort. Nowadays, you can transfer money from checking to savings in your sleep. For me, every couple of weeks, sometimes every month, I have money automatically pulled out of my checking account and transferred into a high‑yield savings account. That way I don’t spend what’s left over. I save and then spend what’s left over and it works really well from a behavioral standpoint. By the way, I do the same thing within my businesses. That was really highlighted to me by a book called “Profit First.” Profit First is an extension on the ideas behind the richest man in Babylon, who pays himself first. It’s an extension on the idea of what the older generation used to do with their check from work. They used to cash it and they would go to the bank and they would cash a check and cash would come out. Real hard money. They would take that money and they would put inside little envelopes. They would put the amount for the mortgage in one envelope and they would put the amount for groceries in another envelope, and so they just had allocated that. I do the same thing in my business. I take the profit and the tax money out ahead of time. That way, we’re forced to work within the constraints of what’s left. I save first and then spend what’s left over. Where am I going with this? The tools for saving have made it easier, but life hasn’t necessarily made it more possible. If you’re struggling with retirement or if you’re retired but you watch your kids struggling for retirement, we could probably be a little bit gentler about that situation, because I don’t think it’s as easy as having it just be totally under your control. Many people live on the margins of what they’re making. Within that context, it just makes it very difficult to be creating a life where they feel control over their ability to save, especially when so much of their current security is being threatened by not having financial security. I don’t really wax religious on this show, but I do go to church and one of the things that we’ve been doing there is a series that the pastor’s going through. It has to do with finances in the way that they’re taught in my religion and what that means. It’s all coming together at this time, that we’re thinking about how to make do with what we’ve got. We’re all struggling with it. I don’t know that I necessarily have the answers for that, but I do recognize that there’s a problem. I try to be a little gentler to this scenario where we can’t necessarily assign a bunch of blame just because people can’t “save more” as though as completely under their control. In any event, let’s talk about today’s show. [laughs] I just went off on a tangent there. Thanks for indulging me. We want to talk about why safety is so important for today’s retirement. The thing about that is this. When you take risks in life, they can be very scary but very rewarding. If you jump out a plane, super scary. I guess the reward is that you get to fly through the air hurdling to your own death before they yank you up on this parachute. I wouldn’t know because I’ve never jumped out of a plane. That’s not a risk that I want to take, but I can see how it might be rewarding. The same thing with investing in a particular stock. Because with a very specific one stock, you can watch that thing go up and down. That can be very scary, and if you’ve picked correctly, essentially rewarding. In the world that I operate, which is paying a lot of attention to things that I can do to improve myself and my business, I’ve seen that everyone tries to teach that there are lots of benefits to taking on a risk in order to be successful. Much of that is true. In order to be successful in this world, you have to be willing to fail sometimes. By the way, you may actually have to fail a few times before you can be successful. People learn from their failures. Risks can be good, but you also have to be careful when you’re taking on risks. Think about this, when you’re taking on risks, what are you hoping for? More than likely, you’re hoping for the best outcome. The thing that we don’t often think about is preparing for the worst‑case scenario. We only focus on the upside. Some of you may be, others of you may not. If you think about your working years, a good 30 or 40 years of employment, maybe more, you worked hard during those years so that you could one day retire. Are you ready to gamble your retirement savings without knowing what the risks are, what the downside risks are? Today, what I want to do is really help you wrap your mind around some of the repercussions of not looking at the worst‑case scenario and planning for it. Therefore, why it’s so important to add safety to your portfolio as you get closer to retirement. In here, I have to pause, because when I think about working with my clients, when I help them review what they’re portfolio looks like, many of them will come back and let me know that they’ve made a shift towards safety. The shift towards safety, in their mind, is adding more bonds to their portfolio. They shifted the ratio from maybe 70 percent equities and 30 percent fixed income or bonds to maybe all the way in the opposite direction, only 30 percent equities and 70 percent bonds. By the way, if you don’t understand why that makes sense, just think this one through. If you bought a bond in the past at a lower interest rate, and the general interest rates go up, because they just go up, that means that the new bonds that are being issued are coming out with interest rates that are higher than the old bonds. Which is more attractive to an investor? A bond that pays a higher interest rate or one that pays a lower interest rate? Well, clearly, it’s going to be the one that pays a higher interest rate. For that reason, the value of the bond that you bought earlier goes down. In terms of that dollar…In other words they just sell the bond if the bond fund owns a bunch of those bonds. If you look at the value of your retirement, your value retirements could have gone down. You’re not necessarily safer unless you really understand the way those investments work, in the way that kings go up and down. What I want to do is…We’re coming up on a break here. I’m going to take a quick break. When I come back, I’m going to talk about what is the three‑legged stool of retirement. What does it consist of? Victor: What are your options to invest your money? How much of your nest egg should you really have in the market versus trying to make it safe? We’re going to cover all of those topics, so listen to the commercial because it’s important to do that. While you’re listening to the commercial, go and grab a paper and pen. When you come back, you’ll be ready to take notes. We’ll be right back on “Make It Last” after this quick break. Announcer: Life is better when you have your legal ducks in a row, and one area attorney can help you get your financial ducks in a row as well. 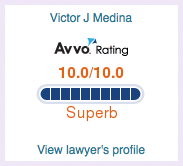 Victor J. Medina fills dual fiduciary roles, a state planning and certified elder law attorney, and also a credentialed certified financial planner professional. Through his law practice at independent registered investment advisory company, Mr. Medina serves high‑wealth individuals seeking conservative advice in a professionally managed approach to retirement wealth management. Learn more about Victor’s 360‑degree wealth protection strategies. Call 609‑818‑0068, that’s 609‑818‑0068, or listen to the newest episode of “Make It Last” Radio, Wednesday mornings at 11:00 on 1450 Talk Radio. Investment advisory services offered through Palante Wealth Advisors LLC, a New Jersey and Pennsylvania registered investment advisor. Victor: Everybody, welcome back to Make It Last. I’m talking today about why safety is so important for today’s retirement. As I said in the beginning, my goal here is to really help bring the quote, “hope for the best, plan for the worst.” I want to bring that to life for you. My goal today is to make you think about your hard‑earned dollars a little differently than you probably thought about them during your working years. Then some of you might be already thinking ahead, which is great, but others have not. I want to catch the rest of us up to that, because many of us have gambled at a casino or put our money into a stock and watch our money go up. It’s a great feeling. The hard part is to know when to step away and take some of the stuff off the table. I say to people, especially when there’s a lot of tax in what they’ve grown, so it could be that there’s a lot of embedded taxes. “Look you’ve been sitting at the casino table. We know that the House can win more than you can, set up that way. But here’s the thing. They’re going to give us an opportunity to take all of our chips off the table, but there’s only one cost for that. It’s hard. It’s hard to agree to do that, but it’s necessary because if we extend this casino analogy. If you just left it there, there’s a chance you could lose all your money. If you had your money in a stock and it continues to go down, down, down, down, down, there’s a chance you could lose your money with respect to that. That feeling is not good, and nobody wants that to happen. If you’ve got a game plan before making decisions you can probably take stress off of your shoulder. My goal is to help you start thinking about the game plan for your retirement so you are prepared. This is one of the most important milestones in your life. I don’t want you to take it lightly. I often have people coming into my office with retirement date in mind. Maybe a fewer days, years less, something like that. I think it’s great. They’re to be commended for coming into our office taking that step because at least it tells me that they’re curious about where they currently stand, but they’ll come in without a plan. They’ll come in without having made any changes to their investment. I don’t really think it’s their fault. They probably don’t work for a living in the financial and retirement planning industry. When they’re working, their mindset is to grow. It’s not really what they’re accustomed to thinking about anyway. They’re probably just gotten into the point where they’ve been comfortable conditioning their minds on a growth mindset for investing. When you get to retirement, that needs to shift. You still want your money to grow in retirement, but you’re starting to look at other things that you want your money to do include being safe or safer. If you realize any important takeaway from today, it is an idea that you need a plan. If you want to explore that plan with me in my office, be really happy to have that conversation. See if it’s going to be a good match. You can reach us at the office number, which is 609‑818‑0068. Again, that number is 609‑818‑0068. If you’re going to start to do this on your own or you want to think about this topic ahead of time, I want you to be proactive and start planning for retirement. Even if you are retired, if you haven’t done this yet, better late than never. We want to think about that as well. I want to help you get on track so you don’t have to worry about finances or whenever you decide to call it quits. If you’re there already, you’re not worried about that going into the future. I want you to be enjoying your golden years and not stressing over the many things that are, as I said before with the J.P. Morgan thing, out of your control like market returns, and policies and maybe even your health. Let’s go with the three‑legged stool first. The three‑legged stool of retirement metaphor was actually first born in 1949 during a speech on social security by a man named…Look, I looked this up, but I’ve never heard it pronounced. I think it’s Reinhard A. Hohaus. Just a great name. Reinhard, I won’t assume that he was a guy. Reinhard was an actuary that worked for MetLife Insurance. Since then, this metaphor has been a wildly spread metaphor that many people have used for retirement. It’s essentially a stool with three legs. Each of the three legs essentially consists of social security, pensions and personal savings. I told you that this first started in 1949. Back in those days, all three of those legs for the stool still existed. The question is, here we are 70 years later, is the metaphor still accurate? It is. People still have these parts of the stool, but one of them might be thinner or non‑existent because the times have changed. The three‑legged stools these days, for many people is often not broken, excuse me. It’s not broken for everyone, but for many people it’s broken. How so? Let’s focus on pensions. First of all, a pension is a defined benefit plan that provides an employee an income stream when they retire. It’s from money that their employer has contributed to this plan during their working life. I got to pause here, because I think many people don’t understand this. That the pension was something that their employer created by contributing money to this defined benefit plan. It’s very different than what we have today, and I’ll talk about that. This was a benefit created by the employer, it was done out of their operating revenues. There was tax benefits for doing that. By the way, the very first corporate pension in the US was started by American Express, in 1875. It became a popular idea, so much up in 1950. About 25 percent, or nearly 10 million Americans in the private sector in that workforce had a pension. About 10 years after that, in around 1960, about half of the private sector workforce had a pension. By the time we got to 1998 ‑‑ you think you know what’s coming, but you don’t ‑‑ about 60 percent of employees had a pension. That does make sense, because I know that many of you are thinking, “Well, Jesus. Way back until 1998, that was pretty far into the future.” Certainly, I remember having a 401(k) 20 years ago, or an IRA 20 years ago. You did, but remember that while the pensions were being created, they were being funded over that entire period. All through the ’60s, the ’70s, the 80’s, employers were making contributions to this. It meant that there were was a large percentage of people that have a pension. When this three‑legged‑stool metaphor came out, the pension was a thriving part of many people’s retirement. From 1998 through 2015, just fewer than 20 years into the future. It shrunk, so that only 20 percent of fortune 500 companies offered any type of defined benefit plan, specifically a pension plan, to new employees. They might still have to have honored the one that was created for existing employees, but they quickly started doing away from that. Today, the percentage is continuing to drop, and fewer people are being offered a pension. Instead, employers are offering 401(k)’s, or other types of defined contribution plans. Those are the two words that are different. Before it was a benefit plan, and that benefit was created by the employer. Now it’s a contribution plan, and they’re doing exactly like what they sound. Which is that the employee is making contributions through their paychecks. Because they are making more contributions from their retirement, it means that they’re going to have to rely on that. In fact, what we’re doing is, we are creating more of a personal savings leg. We’re going to have to rely on that personal savings leg a lot more when we’re in retirement. That contribution plan comes from them, and not so much from their own. Maybe they were lucky enough and they got that incentive match that their employer was offering, and that might have gotten a little bit of a boost, but it’s their money and that’s what their money is in there, doing. The Pension Plan itself over time had gone away. I think this is what is important here is that there’s this idea that the leg of the stool that is the Pension Plan has gone away. It’s not there. We could have divided this up a little bit differently. When we were talking about the three legs, we talked about social security, we talked about Pension, we talked about personal savings. You might think about that as the Pension leg being what the employer put into it, social security being what the government put into it, and personal savings being what the retiree put into it. The idea is that what has shifted is that the employer’s part of the three‑legged retirement stool, had largely gone away. That means we are left with two. If we’re left with two, we’ve got to figure out whether or not they’re going to both be enough for us to stand. Let’s talk about social security. In today’s world, the social security leg is starting to have question marks around it. It might be damaged. According to the Social Security and Medicare Boards of Trustees, in their annual report, recent one, they said that the social security trust funds are projected to be depleted by 2034. This doesn’t mean that social security benefits are going to disappear completely. I’m not telling you that the sky is falling with respect to social security. That would be disingenuous, I’m not here to frighten you that way. Not at all. What’s likely going to happen is that changes are going to have to be made. If no changes are made then according to this report, the payroll taxes that are being paid by younger workers will be enough to fund 79 percent of the scheduled benefits, and there will be nothing left in the trust fund. That would mean that there isn’t money to pay the same benefits. They’re not going to let that happen. They’re going to do what they’ve always done, which is essentially extend out retirement ages, so we’re not adding the same number of people to the roles for social security by what they have to pay. They’re going to change the benefits somehow, but here’s the salient point. The leg that is social security is changing. All it’s doing is getting thinner. It may not be gone entirely, but we can’t rely on that with the same amount of strength that we had back in 1949, back when this three‑legged stool overtime was created. We can’t lean on that as having provided us our retirement comfort level in the same way. It’s time to hit the horn and flash the lights because I’ve got to give you a big disclaimer. You should be talking to your financial professional or your tax advisor, or both, about how social security benefits can fit into a complete retirement income strategy. Financial professionals, like myself, are able to provide you with information but we are not allowed to give guidance and advice related to social security benefits. My firm, Palante Wealth Advisors, is not affiliated with the US government, or any government, whatsoever. Lights off, horn over, disclaimer over. Let’s move to personal savings, because personal savings is the main leg that people are relying on right now. It’s likely in the form of a 401k or define contribution plan, like I was mentioning before. As I said, the majority of employers offer these plans to their employees to allow them to save for retirement. Once the employee retires, they have this nest egg that they need to decide what to do with. It’s the main part of the leg. It is its own stool. There’s a lot of pressure on that because if you don’t have a pension and reduce social security benefits, how much pressure do you think will be weighing on the personal savings leg? The point that I want you to understand is that idea of the three‑legged stool. If you saw that image, we need to have that image adjusted because the legs are not all the same. It’s very important for you to build a plan to help you live comfortably in retirement. What I want to do here is I want to take a quick break and when we come back I am going to talk about dollar cost averaging and reverse dollar cost averaging. Then talk to you about some smart investment vehicles, so that way you can move towards safety and understanding why you need to be there. Refresh your coffee, shake the cobwebs out, we’re coming back from this quick break, and we’re going to talk more about why safety is so important for today’s retirement. Stick with us, we’ll be right back. Announcer: Imagine if the attorney you trust to protect your legal interests could also be trusted to protect your retirement wealth. One trusted advisor, dual fiduciary roles, Victor J. Medina. Mr. Medina is an estate planning and certified elder law attorney, with a national reputation. He is also a certified financial planner professional. Through his law firm and independent registered advisory company, Mr. Medina provides 360 degree wealth protection strategies for individuals in or nearing retirement. His unique approach offers advantages to high‑wealth individuals seeking conservative advice, and a professionally managed approach to their retirement wealth. Learn more. Call 609‑ 818‑ 0068. That’s 609‑818‑0068. Or listen to the newest episode of Make it Last Radio. Wednesday mornings at 11:00 on 1450 Talk Radio. Investment advisory services are offered through Palante Wealth Advisors LLC, a New Jersey and Pennsylvania registered investment advisory. Victor: Everybody welcome back to Make it Last. Today, we are talking about why safety is so important once you get into retirement. We spend some time talking about the three‑legs of the stool for retirement and pensions and social security and personal savings. Now that we understand that the biggest part we’re going to be relying on in retirement is going to be the personal savings, I need to explain to you this concept of dollar cost averaging and, more importantly, reverse dollar cost averaging. If you’re in your 20s, 30s, 40s, maybe even your 50s, you’re going to be familiar with the term dollar cost averaging. If you’re not, let’s just set this up real quick. Let’s say that you put away $200 a month in your 401k, your defined contribution plan, while you are working. During periods where the market was up, that $200 bought you fewer shares of whatever investment you were in. Let’s say you took one target date fund. If the market was up, the value of that fund was high, the cost of the shares was high. If it was $20 a share, you got 10 shares. If the market was down and the cost of the shares was $10, you got 20 shares. You got double the amount of shares, so $200 bought you more shares of whatever you’re investing was. While you’re doing this, you’re probably hoping that over time you had a lower average cost of your investment because you were buying even when the market was down and particular funds were cheaper. You were always buying which included at times that things were on sale because they were down, which means you bought them on sale and you took advantage of the sale. It was a great strategy to help you build wealth working towards your retirement years. Now that you’re there, we are now in reverse dollar cost averaging. That means, it’s exactly the opposite OK? Instead of putting money away every month, you are taking money out of these accounts every month. When you retire, and you need money to live off of, we are going to call that an income. You’re going to be living off of this money. It’s probably going to be a steady amount. There is a very popular method for people to be withdrawing money from their account on a regular basis. Instead of putting away $200 they may now need a thousand for example to supplement their income in retirement. Again, because we know the three‑legged stool of retirement is compromised. Doing it in reverse, what you are essentially doing is, when you need money from your account, you’re going to sell some of your investments. Now you’re going to be selling them on a regular basis. When the market is high, you’re going to be selling high, and that’s perfect. That’s exactly what you have always been taught. You buy low and sell high. You are selling high and you did it. Congratulations, you won, but because you still need money the next month, if the market is down you are going to be selling low. I don’t like the sound of that at all. I mean that’s the exact opposite. I’m not supposed to be selling low, I’m going to be selling high. That’s the risk with reverse dollar‑cost averaging. That’s where the problem comes in. If you think about what your percentage of retirement needs to be, at a time in which you are selling something ‑‑ let’s say it equals four percent of your retirement ‑‑ when you take out your four percent and it’s high, that’s fine. When the value goes down, in order to make the same thousand dollars or whatever, you’re going to have to increase the percentage. You’re going to have to take out five or six percent in order to get the same thousand, because you need that thousand dollars. Where the risk comes in is that you are now withdrawing from your account at a higher rate. By the way, this would continue if you had a few years of a bad market, that would devastate your nest egg if you just kept doing it that way. You have a couple of options, knowing that this is the problem. You could first continue to take your withdrawals with the possibility of running out of the money, just roll the dice. You could reduce the amount of income you’re taking from your nest egg. Or you could stop taking income altogether. Continue, slow, or stop. Whatever option you’re going to be doing, none of them are good, because they each carry their risks. If you continue to take the same withdrawals, you risk running out of money. If you reduce the amount of income, you’re going to change your lifestyle. If you stop taking all of the income, you’re really going to change your lifestyle. It’s very important to understand the danger of reverse dollar‑cost averaging, and look, if the market continues to go up and up and up forever and you happen to time the market perfect, you might be successful. We’ve already had a slide‑back in the way the market has been performing over the last nine years. We had the largest bull market in history. Great, well what do we expect is going to be coming next? I don’t know the answer, by the way, I’m not saying that it’ll go down, I’m just saying, do we want to take a bet that it’s going to continue to always be this way? We have to make a plan around that. Now that you understand that there’s a possibility of loss in the stock market, and how that loss essentially places your retirement at risk, we have to figure out what we can do about that. As I said, many people have their money in the stock market when they’re working. By the way, that’s what you should be doing if you want the potential for good growth. As you get closer to retirement, you need to be making some shifts. People don’t do that naturally. They don’t do that naturally. When we visit with them, what we see is that their investments in retirement or nearing retirement looked just like their investments pre‑retirement, when they’re accumulating wealth. It’s because people don’t recognize the mindset change or shifts that needs to happen. The way their different needs for that money and those investments are going to be in retirement. I get it. Upon retirement, most people still want growth, but they need to understand how much more important safety in income becomes if that NASDAQ is going to be their principal way that they fund their retirement. I want them or I need them to start thinking about ways of protecting their NASDAQ, so they don’t run out of money in retirement. I’m not saying that all of the money needs to be safe or setup for income, but there needs to be a balance. By the way, it would be really, really unwise of me or anyone else, if somebody’s telling you, “It’s all going to be safe.” That’s not wise either. A couple of the risks that we have to take into consideration for retirement are longevity risks and inflation risks. Longevity risks are that you’re going to live a very long time. If you have just as fixed income that never changes and you don’t plan for growth to go longer and live longer in retirement, you’re going to run out of money. It’s just the math doesn’t work. It don’t compute. It’s just not going to work that way. We need to control for longevity risk, but we also need to control for inflation risk. If you set up an income that’s a thousand dollars a month, that thousand dollars a month 10, or 15 or 20 years from now is not going to stay by the same number of packs of playing cards. It’s just not going to go as far. The cost of everything is going to go up. We need growth in the other accounts so that we can continue to draw on this money at a level that meets your retirement. It shouldn’t all be safe and setup for income, but there needs to be a balance. Trying to create the proper balance on your own can be really tough. I’m going to go here. I’m going to say I’m encouraging you to find a professional to help you with that. I believe that that professional should be focused exclusively in the area of retirement planning. In my experiences, having dealt on both sides of it. Before we were helping people with retirement and their money, I as an state planning attorney watched all of the other mistakes that were out there. Here’s the thing, they’re not the same animal. Somebody that helps you with investments to grow them is not the same person that needs to be the person that’s going to help you distribute it. I see all of the errors that come in there. You should be working with a professional on this. That professional should be a retirement planning specialist. That said, let’s continue by discussing some safe vehicles to invest your money. One of the ones that I want to hit on right out front because we’re not afraid about talking about this on this show. I want to talk about annuity. Specifically, I want to talk about a fixed annuity. There are different kinds of annuities. The one that I dislike with a wide hat passion reserved for only the devil himself is variable annuity. Can’t see any need for anybody today to ever buy one and I will go toe‑to‑toe with anybody that says otherwise because I’m going to wipe the floor with them. No variable annuities, but there are fixed annuities. A fixed annuity is essentially contract purchased from a life insurance company. They are designed for retirement goals. They are longer in their term and they’re unaffected by market fluctuations up or down. Like I said, there’s other kinds of annuities. I’m not going to go into that today, but the key to understand about a fix annuities and similar types of annuities is that they avoid market risk. In other words, you cannot lose money from your principle investment due to fluctuations in the market. Now, there may be additional benefits. We can go for a fixed annuity. We can go through tax deferral on any growth that’s being gained in there. We can talk about principal protection. We can talk about an income stream for life. That, in fact, is the very definition of annuity. Annuity is essentially a lifetime income. As well as the ways that you set things up for your beneficiaries, so on and so forth. There are downsides to this. One of the downside is that your opportunity for growth is limited. It’s not as high as what you could be getting in the market. You are trading potential upside for not having a downside. There are some liquidity restrictions. You may not be able to access 100 percent of that at that time. As part of an overall plan, that may not be a problem. If you set up your liquidity from other account, it shouldn’t be an issue. I want to be clear. There are some liquidity trade‑offs with the annuity. The other one, which is often overlooked ‑‑ this is more of an egghead analysis over them ‑‑ is that the interest that is being paid out may not keep up with inflation. That’s important. In a low interest rate environment like we’re in right now, there are going to be some contract terms that are set up based on the conditions today. If those conditions change in the future or if the numbers that we’re dealing with now don’t keep up with inflation, if you’re locked in to something very long term, you may not be able to keep up with inflation. You’ve got today’s interest rates when really what you need is more money or future interest rates. A couple of ways you can control for that ‑‑ shorter terms on the annuities, more flexibility with the money that you can draw out, but it is a downside. Other smart investment vehicles through retirement are treasury securities. Treasury securities are essentially loans that you make that the United States Government makes to you. They’re sold through auctions. The value of a security will dependent on what the investor is willing to pay on a particular day. Similar to stocks and bonds, they can be bought through brokers, banks. Or you can go on to an online market place. Treasurydirect.gov if you want. These vehicles are not going to provide super high returns, but they’re going to be safe. Treasury bills, treasury notes, treasury bonds. I just gave you those in order of their term. T‑bills or treasury bills, they’re shorter term securities. They can mature anywhere between four weeks and a year. If you look at treasury notes, they’re going to mature anywhere between 2 years to 10 years. They pay interest every six months until they mature. Treasury bonds are the longest securities. They take 10 to 30 years to mature. They also pay interest every sixth months. They can be sold at any time, but you could potentially lose some money on the sale. The idea is if you hold them, they’re going to be smart. A very simple way to invest your money is to put it in a bank. Bank accounts are a very easy to gain access. They’re very safe. They are insured by the Federal Deposit Insurance Corporation, which by the way are the words that go to FDIC. If you want to know what FDIC insurance is, it’s the Federal Deposit Insurance Corporation, and up to a maximum of $250,000. What’s the main downside to that? Money in the bank is not going to grow very much, because the interest rates are low. 30 to 40 years ago, interest rates were more appealing. Today, they’re low. According to the FDIC, as of May 2016, the average interest rate on a savings account nationwide was .06 percent. I don’t even know if that’s a number. You’ve got to put a lot of money in there to even see what .06 looks like. As you can see, that vehicle is made for safety and liquidity but not necessarily for growth. Again, I don’t encourage that you have all of your money in one place. If you need money safe and liquid, you might have some money “invested” in checking and savings account. Not money market accounts. CD is all right, but here is the point. The point is you cannot underestimate safety in retirement. There are lots of places to invest your money that provides safety. By the way, some of the ones that I haven’t even mentioned today. There are countless vehicles to invest your money in, whether or not it’s smart. I want to be clear about this. I don’t believe with the exception of variable annuities. Spit, spit, spit. That there is anything known as a bad investment vehicle. There are some vehicles that are set up for certain people at certain stages of your life. Some vehicles might be a good fit for you in your 20s and 30s but not in your 60s. When I used to say that, I used to talk about a sports car. Then I hear a lot of my clients buying sports cars in their 60s. Maybe it’s their reverse. Maybe a sports car is not great in your 20s and 30s, and it’s awesome in your 60s. The idea is that there are some appropriate vehicles when you transition to needing your money to do something different. We don’t have this cookie‑cutter, ubiquitous, one‑size‑fits‑all investment strategy. That may have been appropriate when you were younger, but it’s not going to be appropriate when you get into retirement. Once you understand that within the three‑legged stool of retirement, you have to weigh so much or lean so much on the personal savings. It’s important that the personal savings leg is well‑planned for. One of the last things you want to you have happen when we’re talking about reverse dollar cost averaging is you don’t want essentially a big drop in the market so that you have to take out a higher percentage of what you need in order to make it through retirement. You cannot underestimate what the value of safety is. Again, it’s not going to be 100 percent of what you’re doing. You have to strike a balance, but it needs to fit in there. That’s the reason why it’s so important. Here it goes. When it still is down to the back of the coin or fortune cookie, the reason why safety is so important in retirement is because so much is placed in reliance on the personal savings, leg of the stool, and because there is so much risk in reverse dollar cost averaging if that’s all you do with your money. If you’re ready to add protection to your nest egg, if you need help building a game plan that incorporate safety, give me a call. I can help you with that. We can schedule a complimentary consultation. We can address these issues with you. You just call us at (609) 818‑0068. If you just want to see if you’re in a great shape, again you can give us a call. We can talk about that. Whatever you do, come at this with a plan. It’s important that you have a plan. It’s important that you work within your plan. That’s been our show for today. If you like what you’ve heard, please do us a favor and share it with a friend. Point them to the podcast. Have them go to Apple iTunes. Search for “Make It Last.” Hit that subscribe button. Our subscribers are growing by leaps and bounds. We would like to help more of your friends and family amongst our friends and family. All you got to do is get them to subscribe. That way, they get every episode delivered to their inbox. They have that so they can listen to it. Victor: They can go back to the prior episodes, too, and take a listen to those and see what else they’ve missed. This has been it for today. We’ve been talking about why safety is so important for today’s retirement. Please take this information and act on it. I think it’s super important. We’re going to catch you next week with another fun and exciting episode on the world of legal and financial retirement planning. This has been Make It Last, where we help you keep your legal ducks in a row and your financial nest eggs secure. Catch you next week. Bye‑bye. Announcer: Investing involves risk including the potential lawsuit principle. Any references to protection, safety, or a lifetime income, generally referred of fixed insurance products, never securities or investments.